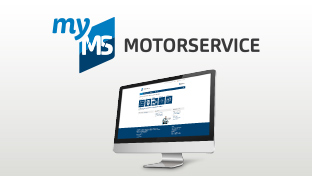 MS Motorservice International GmbH has once again taken steps to combat product piracy. Via an interim injunction, the spare parts specialist forced two Chinese manufacturers to remove counterfeit coolant pumps from their trade fair stands at Automechanika in Frankfurt a. M. The products can also no longer be sold in Germany. For years, the company has been protecting its customers and itself from inferior counterfeit products from the Far East. Back in 2014, product managers at Motorservice discovered a counterfeit of the Pierburg coolant pump CWA 200 at the exhibition stand of a Chinese provider at the leading trade fair Automechanika. Motorservice issued a product warning, patent holder Pierburg brought an action and won. “Since then, perusing the trade fair stands of competitors has been a fixed part of my market observation”, explains Oliver Hurtz, Lead Product Manager Mechantronics at Motorservice. From 11 - 15 September 2018, Hurtz was at Automechanika once again and made another find: This time, he discovered two counterfeits of the CWA 200. Motorservice took legal action once again. The pumps had to be removed from the two trade fair stands on the following day and Motorservice was awarded compensation. The coolant pumps were forbidden from being sold by law in both cases. 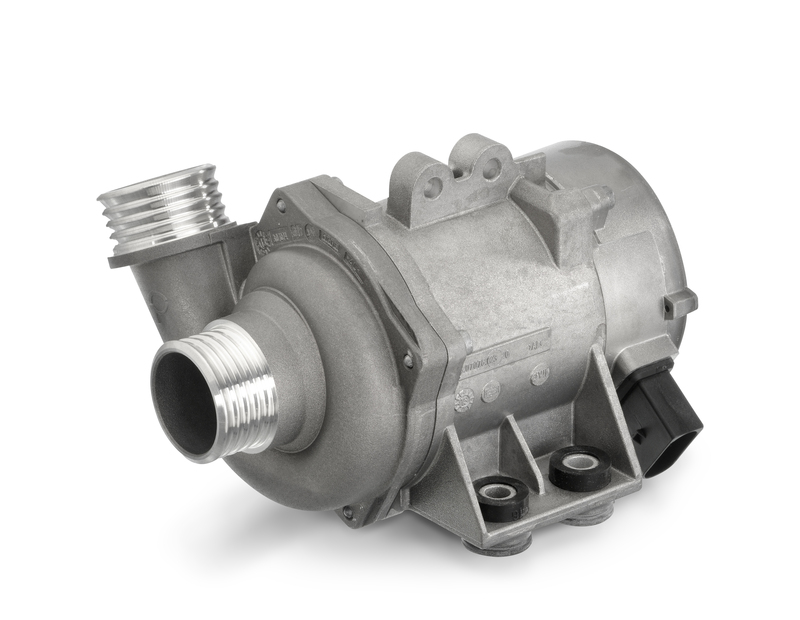 The coolant pump CWA 200 is offered successfully by Motorservice on the independent aftermarket. It enables demand-based cooling and has after-run characteristics so that the engine continues to be cooled even after it is switched off. After discovering the counterfeit in 2014, Motorservice and Pierburg requested an example of the Chinese pump and received a sample, complete with test report and technical drawing. On the test rig, the engineers determined that the electronic components were deficient and the pump did not reach the delivery rate of the Pierburg pump. Under full load, the genuine Pierburg pump achieves a volumetric flow of seven cubic meters per hour. The counterfeit, on the other hand, circulated just two cubic meters per hour – 5,000 litres less. The counterfeit also stopped working under high stress. “If the cooling is no longer active, the engine and all components that need to be cooled are damaged, like the crankcase, the piston, the crankshaft and the camshaft. In the worst case, the engine can overheat”, explains Oliver Hurtz. The electromagnetic compatibility (EMC) also fell short in some cases. 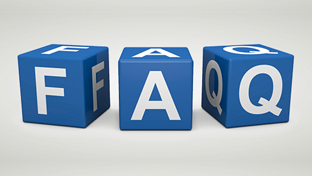 There is a risk of the pump sending signals that impede the other electrical circuits in the vehicle. In the past, the counterfeiters also tried to forge the packaging. They either forged the entire cardboard packaging or at least tried to replicate the label with barcode. Motorservice has also taken relevant measures here: At Automechanika, the spare parts specialist presented its new packaging with the latest generation of safety features on the labels − the tesa PrioSpot developed by tesa scribos. This forgery protection label contains different visible and concealed safety features. Some can be seen with the naked eye, others only using a magnifying glass or special reading devices. Thanks to the patented technology, up to seven different verification levels can be written on the labels on the same time – this gives each product a unique identity. The 2D matrix code has also been replaced with a QR code on the label. This enables a quick authenticity check to be carried out on the product: Simply scan in the QR code with a smartphone and a green light appears on the display if the product is genuine, or a red light appears if the product is a forgery. The Motorservice Group is the sales organisation for the global aftermarket activities of Rheinmetall Automotive. The company is a leading supplier of engine components for the aftermarket with its brands Kolbenschmidt, Pierburg, BF Original and TRW Engine Components. 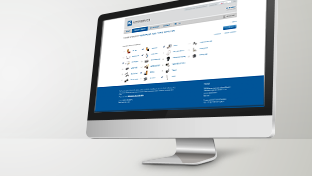 The comprehensive product range means that customers can obtain all engine components from one single source. As a problem solver for the trade and repair shops, Motorservice offers an extensive service package and the technical expertise that you would expect from the subsidiary of a technology company.